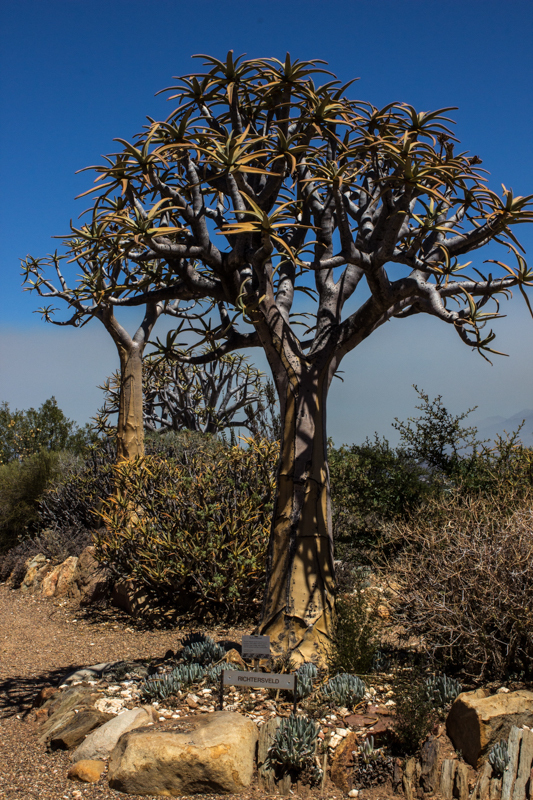 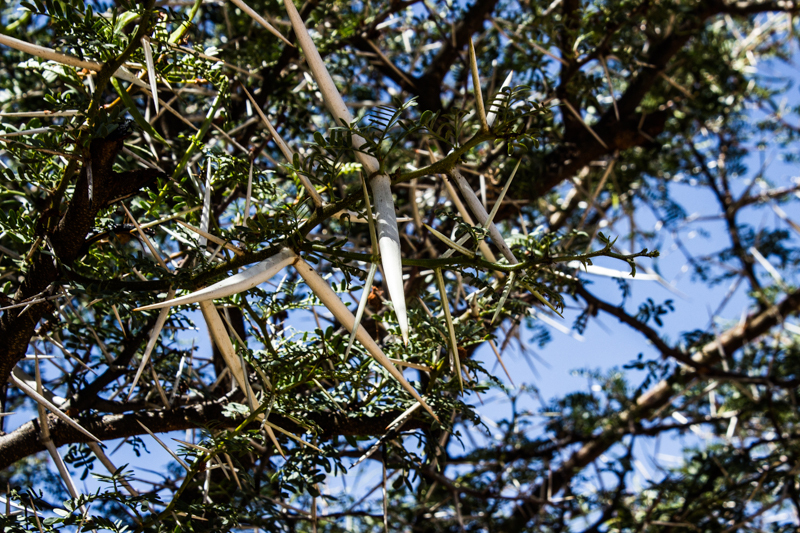 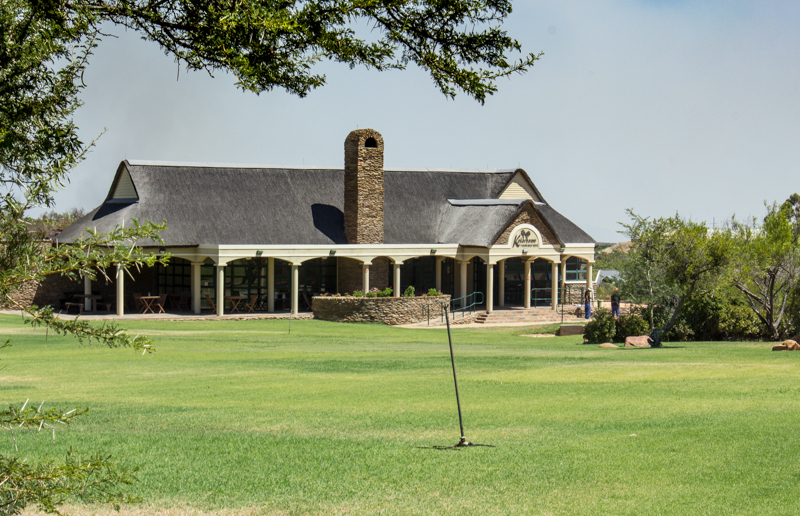 The Quiver Tree, Aloe Dichotoma, is so-called because the Bushmen used the branches to make quivers for their arrows. 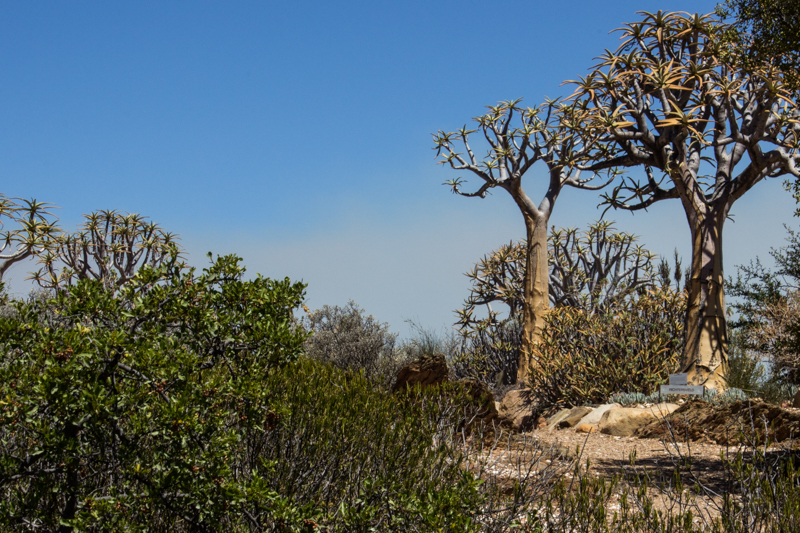 There is a Quiver Tree Forest in Namibia – I would love to see it. 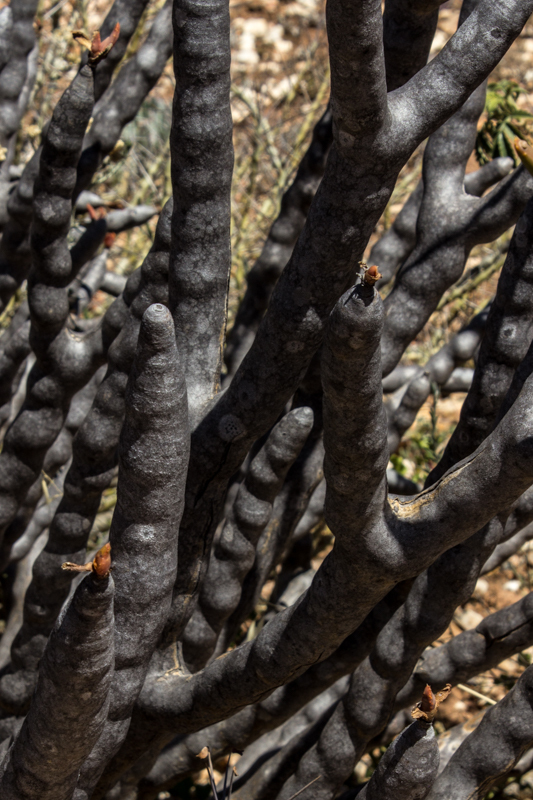 Apparently even these trees, adapted to extremely harsh conditions, are threatened by extinction as a result of climate change. 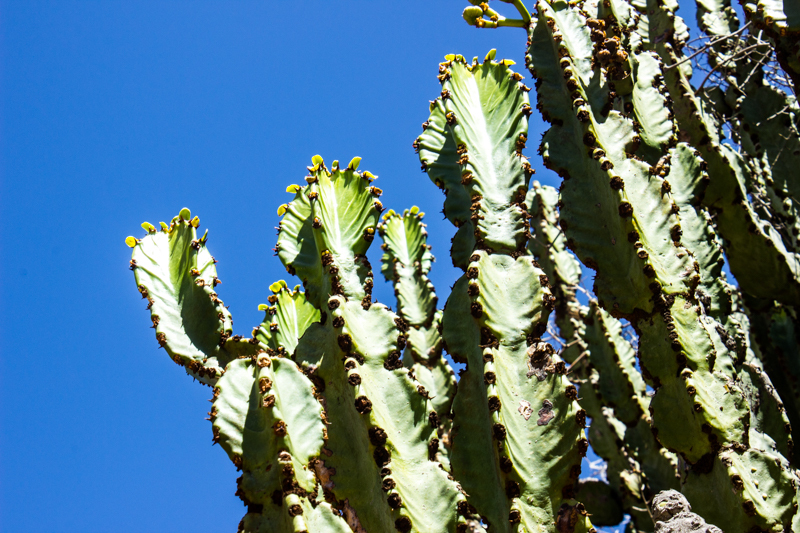 Euphorbia Ingens is fascinating and gives height in the garden, but the sap is extremely poisonous. 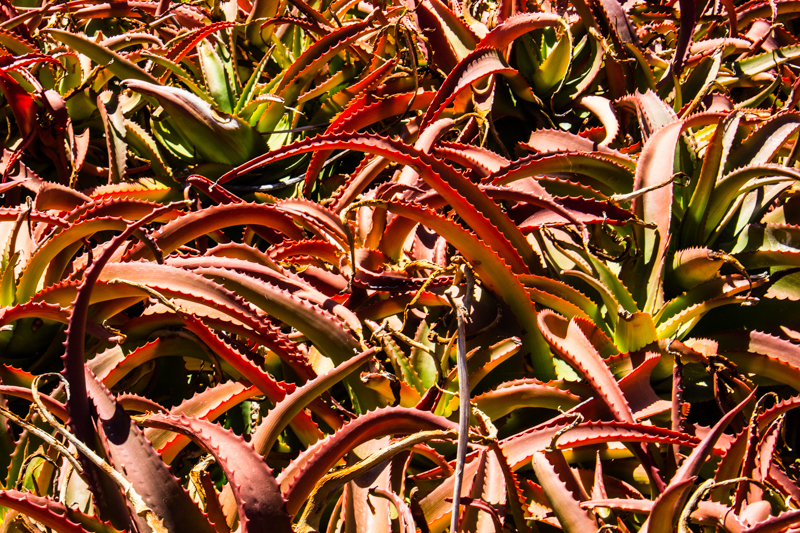 Aloe Vanbalenii was a mat of wonderfully spiky red contrast, and the hotter and drier the weather the more the leaves turn red. 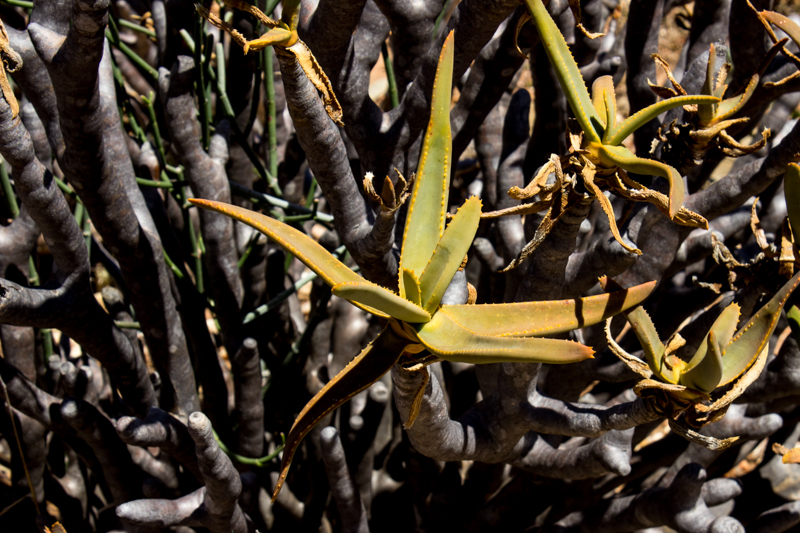 So these plants show just how extreme the weather has been in South Africa. 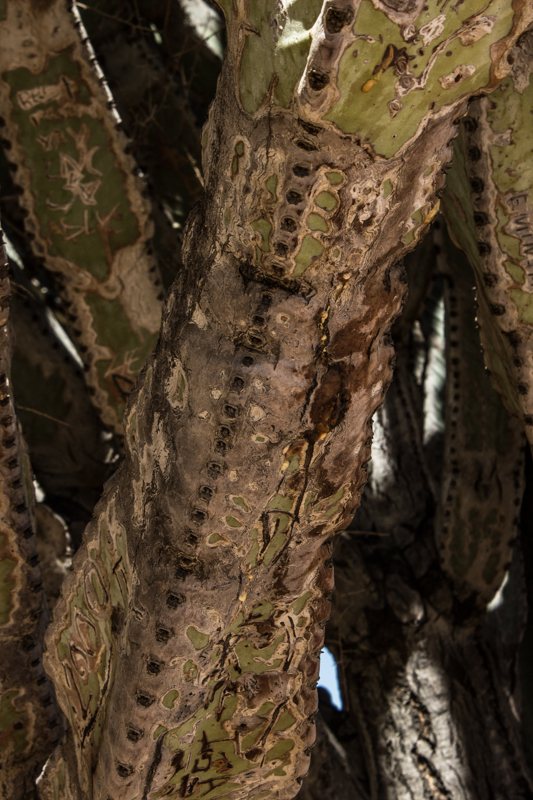 I think this strange tree is another variety of Euphorbia. 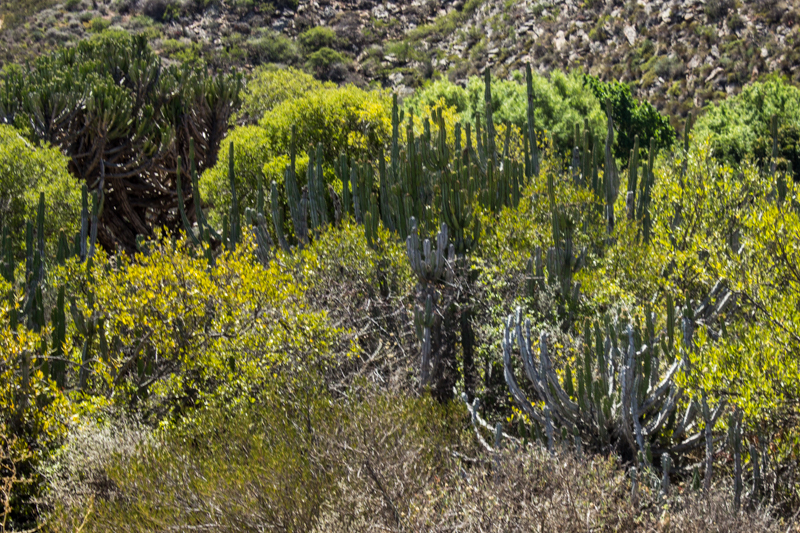 I think this is a variety of Cyphostemma Juttae, a succulent which stores vast amounts of water in its trunk. 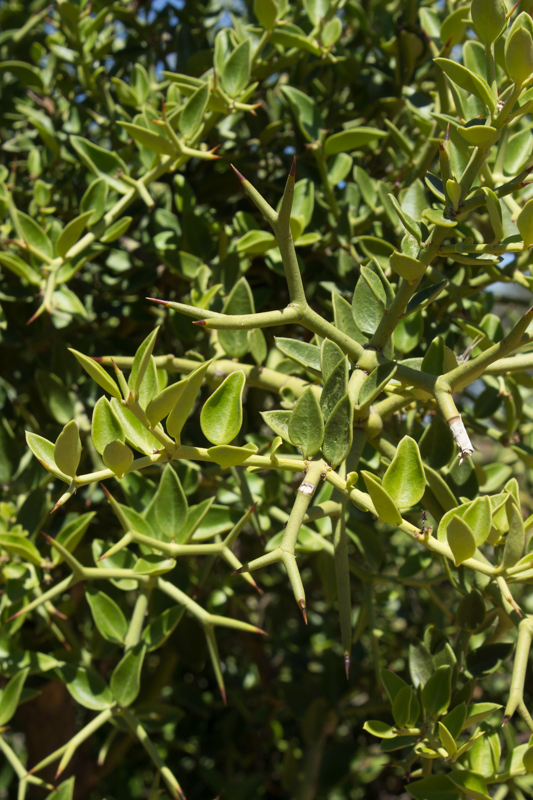 Many of the plants have fleshy leaves as well as fleshy, thick stems. 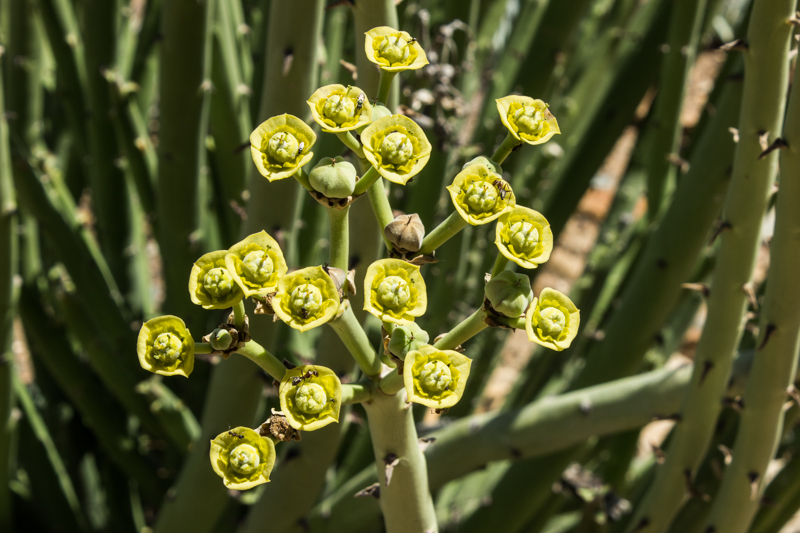 Could this be a form of Euphorbia? 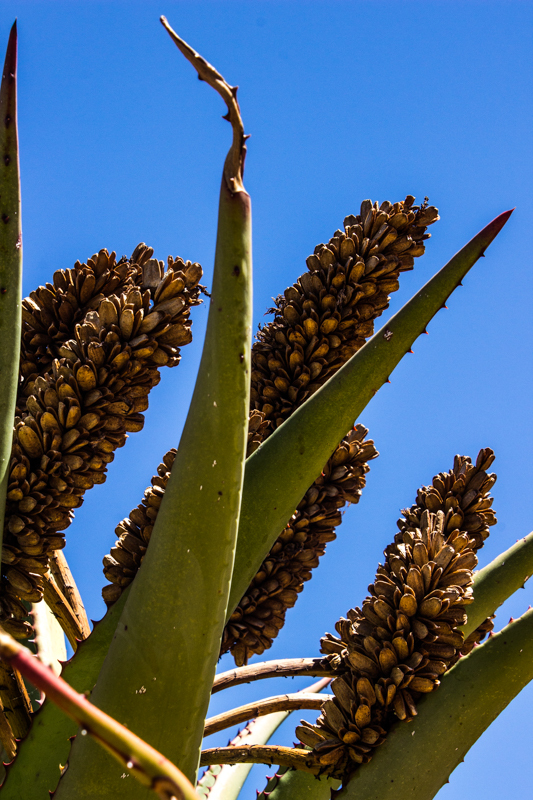 Or a type of Aloe? 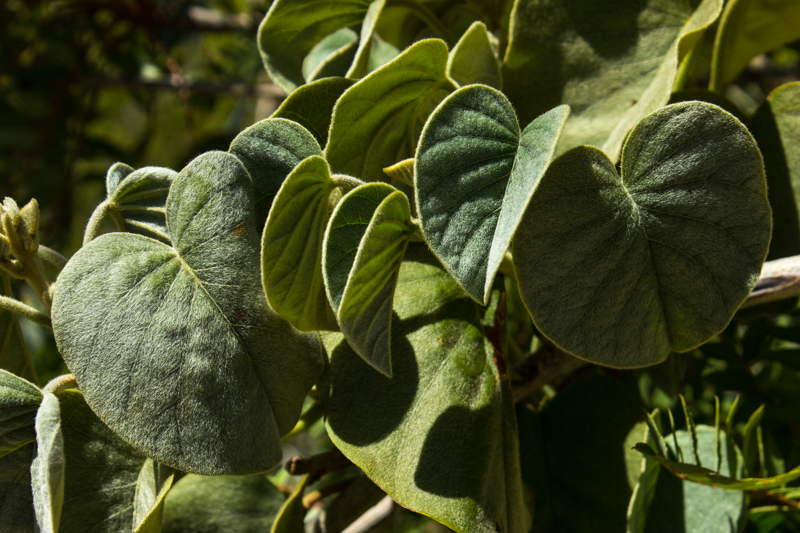 This plants with hairy leaves is really pretty, but what is it? 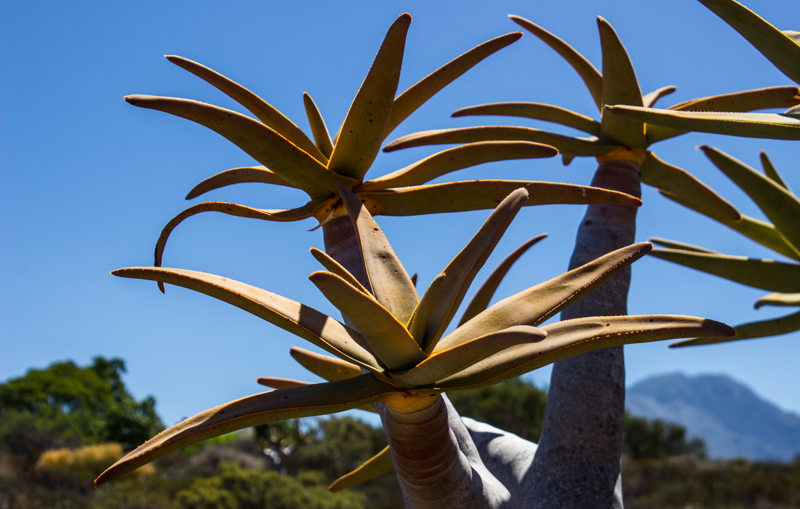 The aloes were statuesque, but sadly beyond their flowering time. 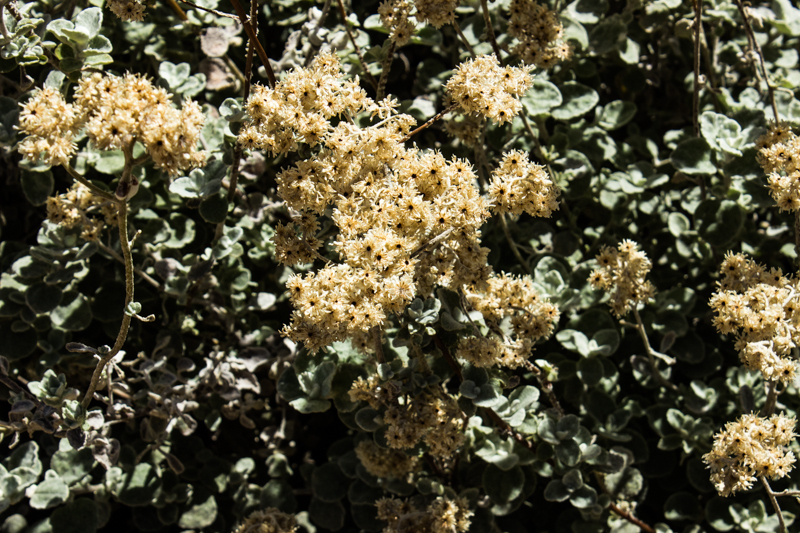 There were a few flowers. 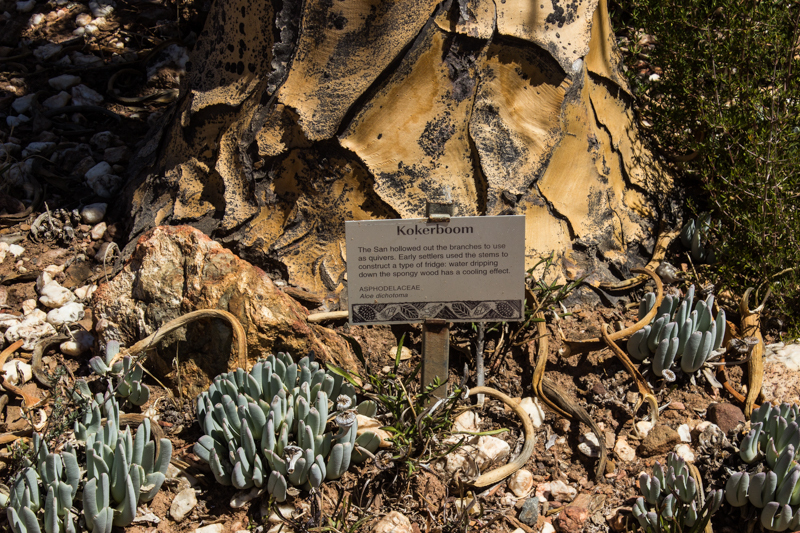 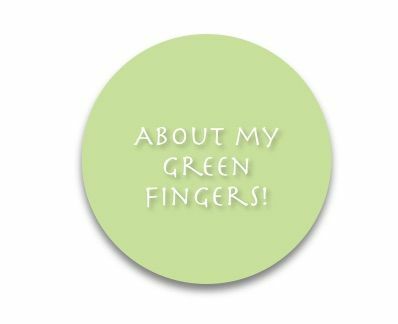 These strange plants are very different from those grown in English or French gardens, or even the plants in the Durban Botanic Gardens, but I could easily use them to plant a wonderfully varied and textured garden. 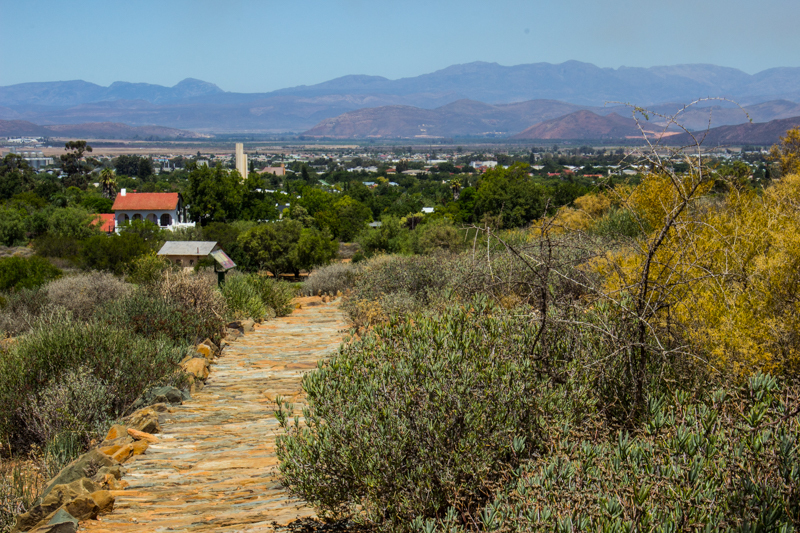 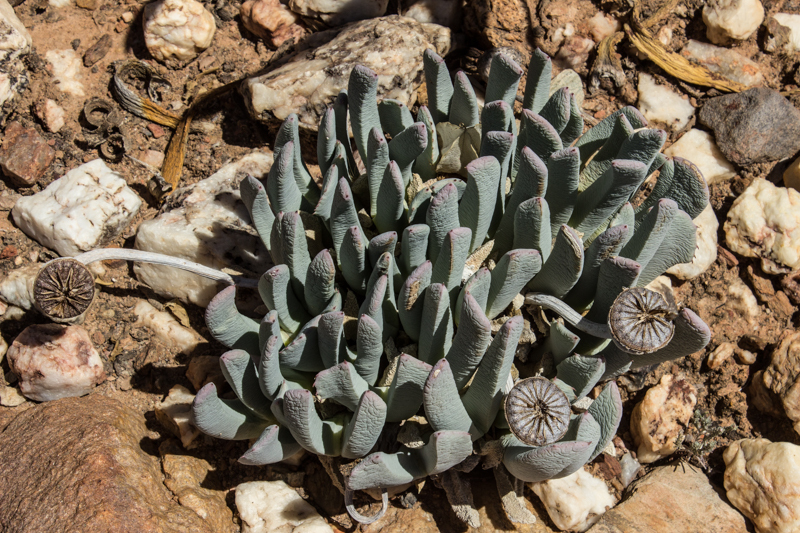 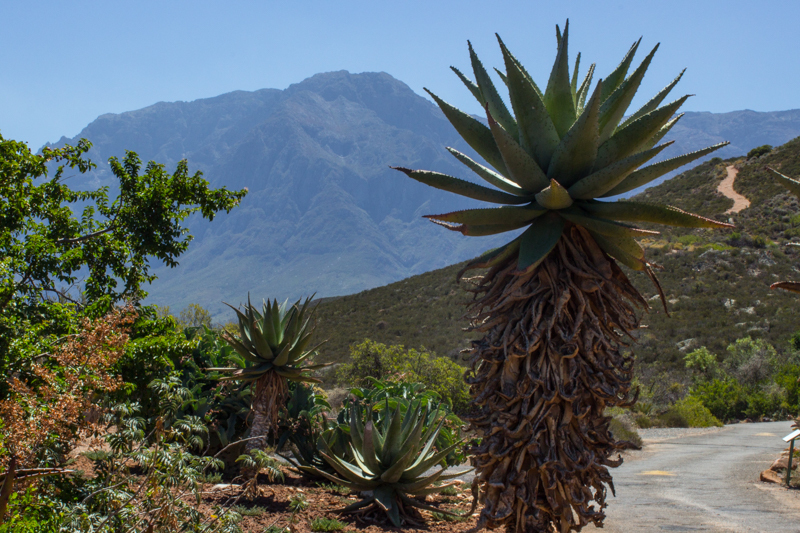 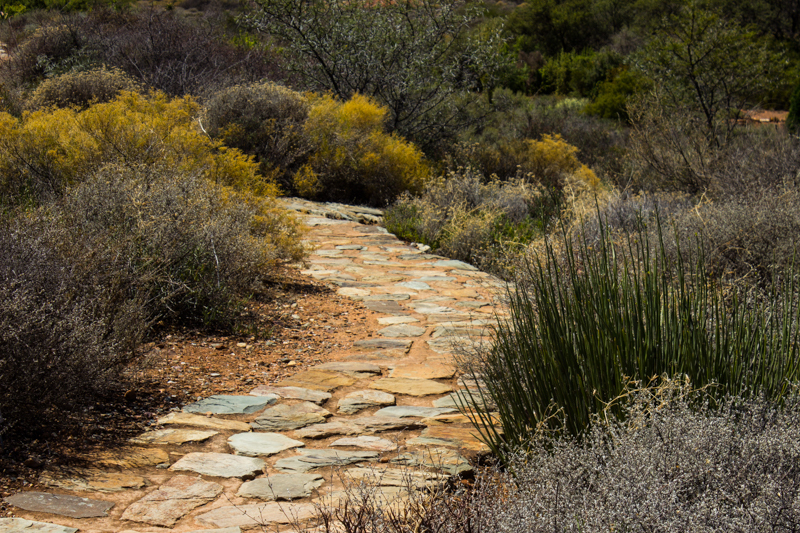 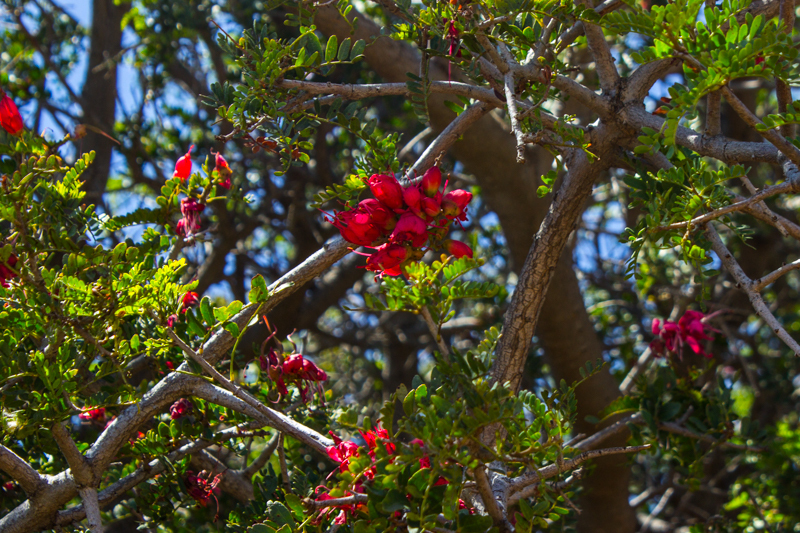 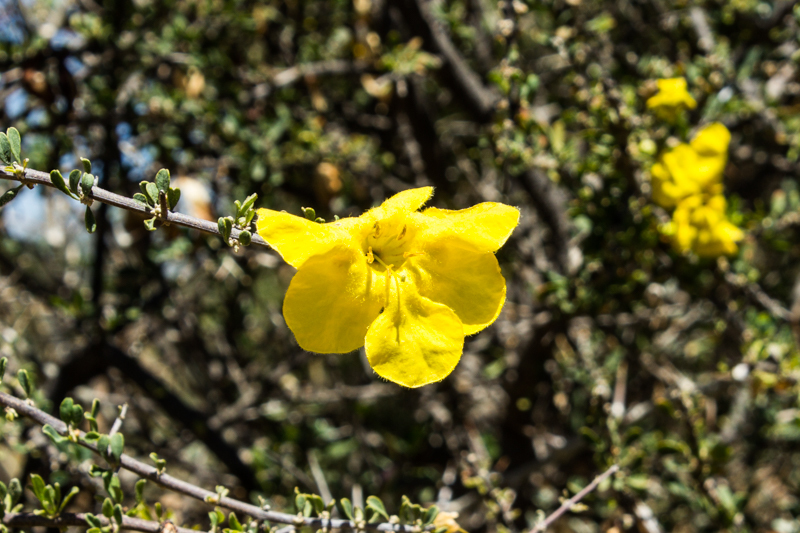 Do visit the Karoo Desert Botanic Garden if you are in Worcester!